Xola Mlambo and Thembinkosi Lorch sealed a spot in the Telkom Knockout semi-finals for Orlando Pirates as they scored in extra-time to beat AmaZulu 3-1 in their quarter-final clash on Saturday evening, writes DEAN WORKMAN. The Buccaneers came into the encounter on a high after last weekend’s Soweto derby victory over Kaizer Chiefs. The result saw Pirates extend their unbeaten run to eight matches, including the 1-0 win over Chippa United in the round-of-16 clash which set up their quarter-final clash in Durban, which also ensured they continue to put pressure on the Absa Premiership table toppers Bidvest Wits. AmaZulu on the hand impressively beat Cape Town City 2-0 in the previous round of the TKO, but went on to lose 3-0 in Cape Town against the same opposition four days later, a result which further compounded their league woes with the Usuthu propping up the bottom of the league log. Pirates started the game in a manner which has come to be expected by the Soweto giants as Milutin Sredojevic’s men kept possession well, but they were struggling to penetrate the AmaZulu backline. The first big chance of the game fell to Pirates winger Lorch after 26 minutes, but the Bafana Bafana forward hit his close range shot straight at AmaZulu shot-stopper Siyabonga Mbatha. Lorch, however, made up for his earlier miss when he gave the Sea Robbers the lead with 36 minutes on the clock. The pacey forward latched on to an expertly weighted through ball from Vincent Pule to poke his low shot past the out-rushing Mbatha. Despite Pirates looking comfortable, Cavin Johnson’s men looked threatening from set-plays and eventually took advantage of that threat as Bonginkosi Ntuli grabbed the equaliser five minutes before the break, finding the back of the net with a free-header from inside the box. 1-1 at the break with the tie firmly in the balance. Pirates looked to stamp their authority on the game in the second half but were met by a determined Usuthu side. Chances were proving hard to come by for both teams as the half continues to pass with Pirates looking to control possession, while AmaZulu looked to threaten on the counter. Justin Shonga then had a late chance to send Pirates through to the semi-finals, but the Zambian was let down by a poor touch with goal gaping after a great run by Lorch. The sides could not be separated in normal time as the game went into an additional 30 minutes. It, however, did not take the Buccaneers long to take the lead at the start of extra-time as Xola Mlambo’s strike from the edge of the box came through the crowd to beat an unsighted Mbatha with just two minutes played. 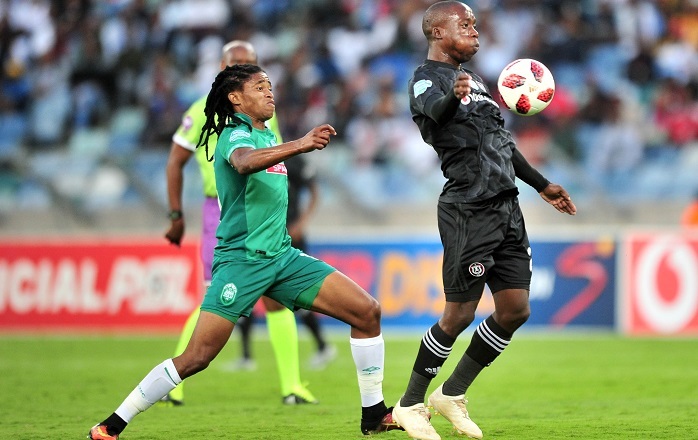 AmaZulu looked to push forward in the hope of forcing the game to penalties, but Pirates put the game to bed at the start of the second-half of extra time with Lorch scoring his second of the night with a fantastic finish. Pirates walking away comfortable winners in the end but they were made to sweat by AmaZulu who would draw confidence from their admirable showing.